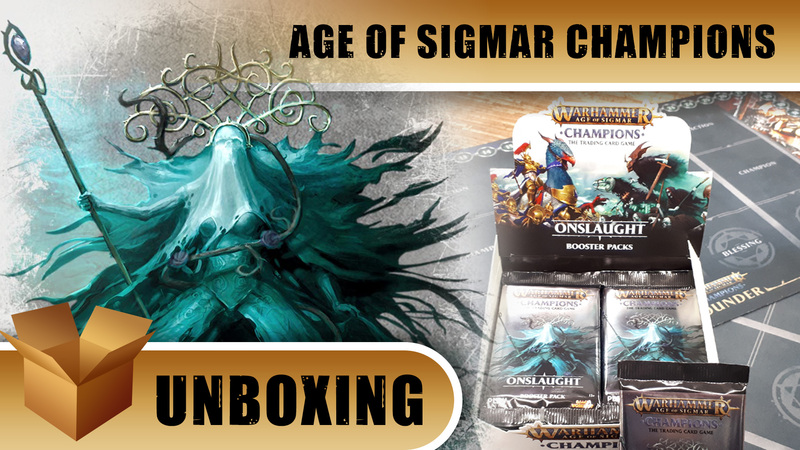 The big day has finally arrived - Wave Two of Warhammer Age of Sigmar: Champions releases in stores and on digital platforms today! 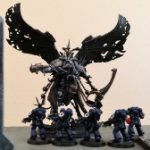 As Aventis Firestrike and his Stormcast Eternals attempt to repeal Lady Olynder’s procession of the dead, the forces of Destruction and Chaos move against the city. Fighting their way across the Ashlands of Aqshy, Skarbrand and The Changling find themselves in an uneasy alliance; the forces of Khorne and Tzeentch rallying to their gods call to reclaim the Stormrift Realmgate, through any means necessary. Onslaught brings 128 new cards to the game including new realm spells and blessings that can be added to any alliance deck. Justin and Coco open a few booster packs and show off some of the cool new cards you can get including some that we haven't seen in the previous reveals. Download The App & Join The Battle! Will you attempt to build an indomitable Ogor deck? Please make Justin read the rules before he does the next one of these haha. Did you manage to make any funky new decks? I’m still experimenting especially before I go through the ranking process. Haha to be fair he has to learn new games every week, there’s only so much RAM in that little bald noggin. I tried an Olynder (unsuccessful) and a double ogor (needs tweaking) so far in my placements but got wrecked by a double twisted necromancer deck. My mind is boggling with all the combinations! Agreed. I’ve been having great fun trying the cards but nothing is fully working yet. I think I’m looking forward to getting the goblin champion who cost zero.